Before the crusades Europe was in its dark ages. 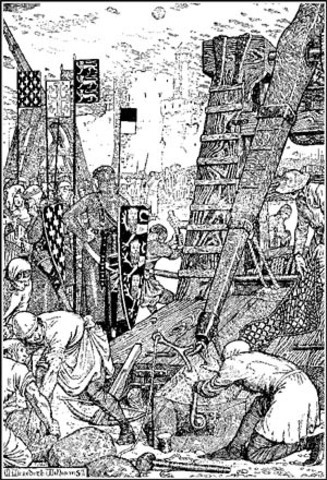 But the crusades helped Europeans mainly by bringing new technology and idea, such as maps with wider range of resources, the magnetic compass that helped sailors with direction, and astrolabe that can determine your latitude using the stars. In addition, the crusades also introduced things like jewelry, ceramics, glass, perfumes, textiles, and paper. 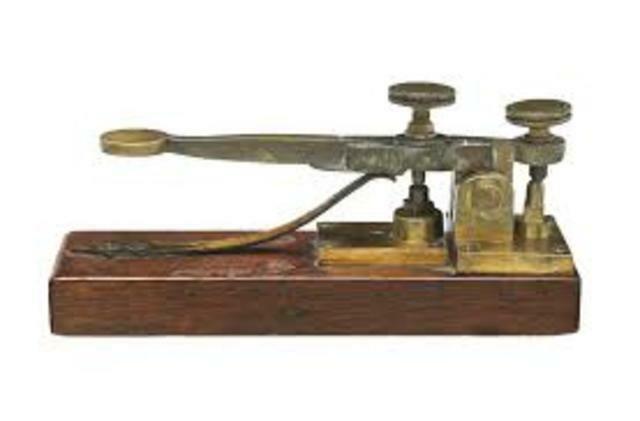 These discoveries of new technology also eventually led to and influenced the renaissance era. 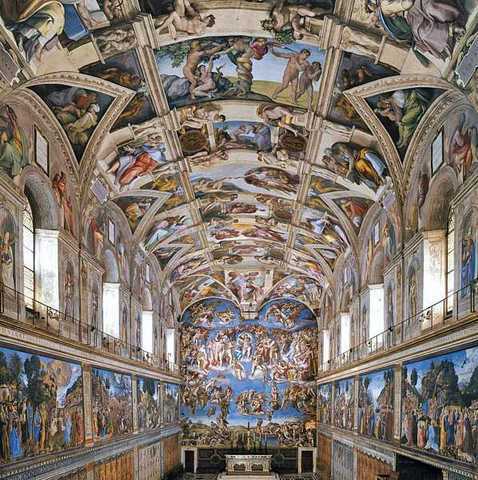 The Renaissance era was a rebirth of the European culture after the dark ages. This was an era of new ideas but also was very important in the history of art and architecture. Some of the most valuable and famous art comes from this era. For example, the Mona Lisa painted by the Italian Renaissance artist Leonardo da Vinci was painted during this era. There was also a mix of new architectural designs and ancient Roman designs like columns, round arch, and dome's. Changing art and architecture. 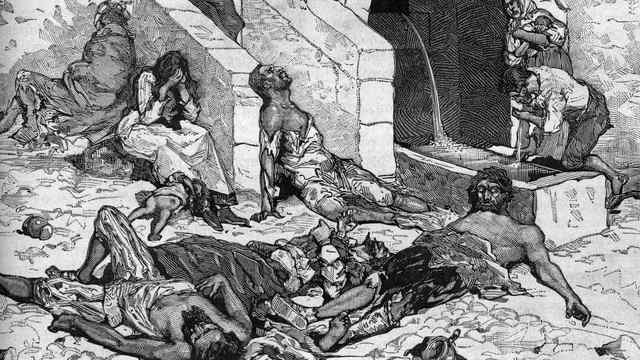 The Black Death was one of the worst epidemics to have occurred. This disease was spread by infected fleas on rats that were all over medieval Europe. Symptoms were nausea, vomiting, coughing with blood, high fever, and weakness. This disease had 75 to 200 victims and caused more than 20 million people to die. There was no cure due to doctors being afraid to treat those infected and catching the disease. It affected so many people that it took hundreds of years for the population to stabilize. 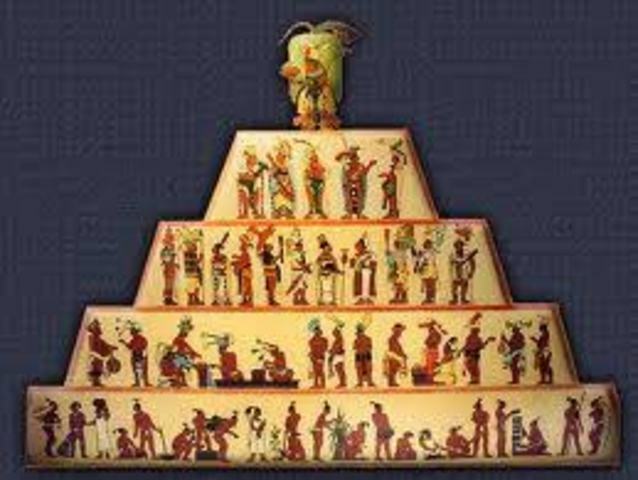 The Aztecs had a very strict social structure. Depending on your lifestyle, status, occupation, and social interaction you would be put under a specific social stratification. You would either be put under nobles, commoners, serfs, or slaves. Nobles being the highest and most respected level, including government, high level priest, and lords. Serfs and slaves being the lowest level and least respected. Serfs worked land and slaves became slaves due to punishment or failure to show gratitude. Amerigo Vespucci was an Italian man who was an explorer, cartographer, banker, and navigator. 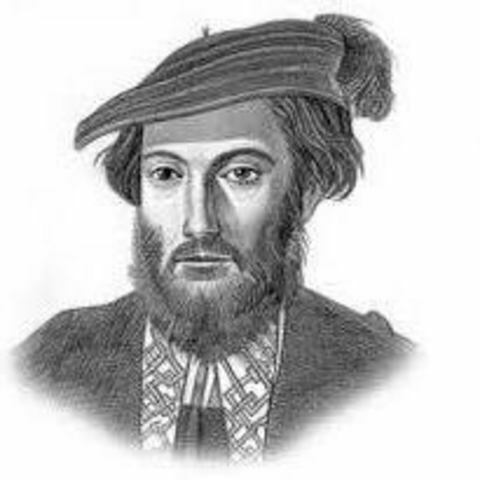 Vespucci was mainly known for his name due to the continents North and South America being named after him. These continents were named after him and not Christopher Columbus due to Vespucci correctly realizing that the Americas were nowhere near Asia after his exploration that was sponsored by the government of Spain and Portugal.When Christopher Columbus insisted that his discovery was a part of Asia. 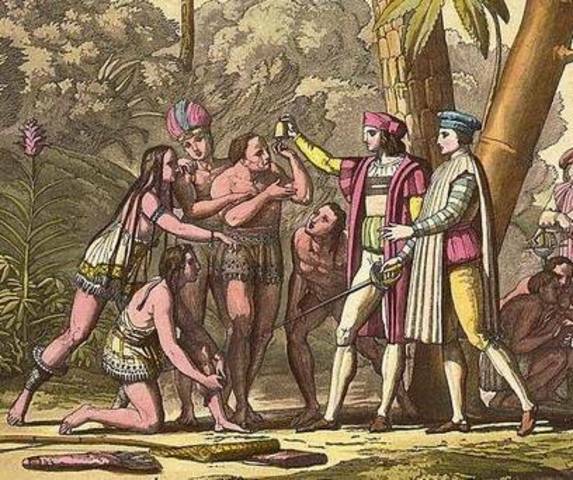 The Columbian Exchange is when there was a variety of exchanges between the new world and the old world, due to Christopher Columbus voyage to the Americas in 1492. These exchanges range from food, plants, animals, diseases, and ideas. The exchanges not only had its advantages, but it also had its disadvantages. Like the disease that was brought from the old world to the new world, causing thousands of people to die. But when horses where introduced they became one of the most important animals. The first successful English colony was Jamestown, Virginia. 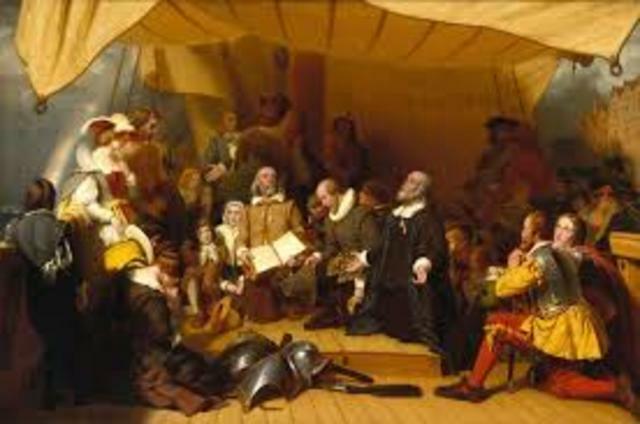 Later the pilgrims were looking for religious freedom, so they fled to the new land and eventually founded a colony named Plymouth. Other people came to the new land mainly for economic and religious reasons. 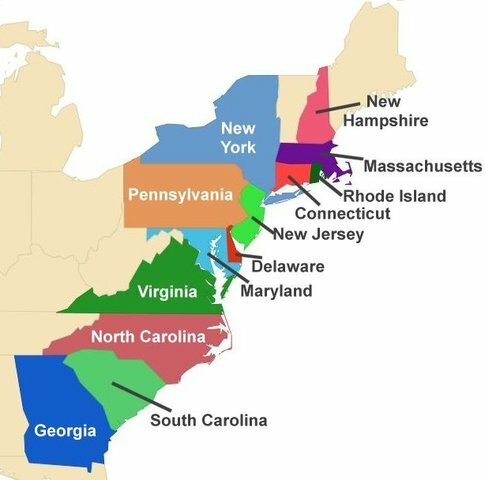 Soon the population grew creating the 13 colonies including Connecticut, Delaware, Georgia, Maryland, Massachusetts, New Jersey, New York, New Hampshire, North Caroline, South Carolina, Pennsylvania, Rhode Island, and Virginia. 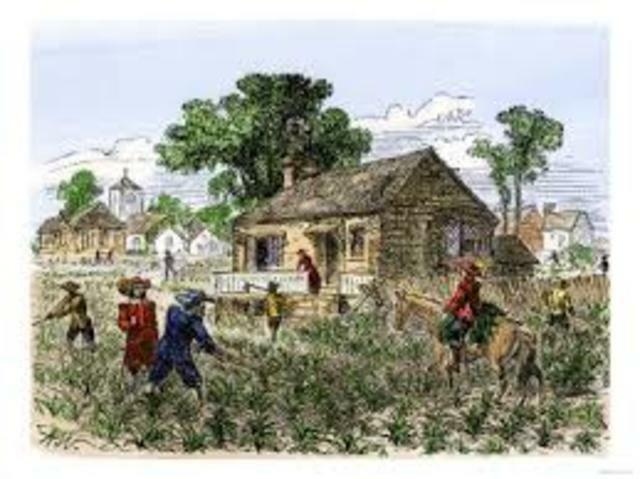 Tobacco became an essential component of the American colonial economy. 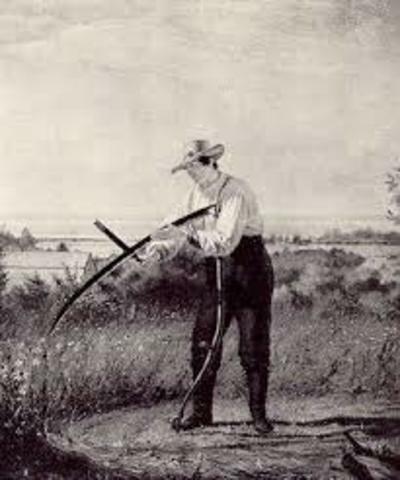 First person to grow this crop was John Rolfe, a colonist from Jamestown. He acquired the seeds from West Indies and first crop in 1612. It became an instant success for American exports as buyers the British prized the product. The plant is considered the savior at the time, at the time as no other crops were able to be produced due to the harsh climates. So colonists took advantage of this crop as it gained popularity. 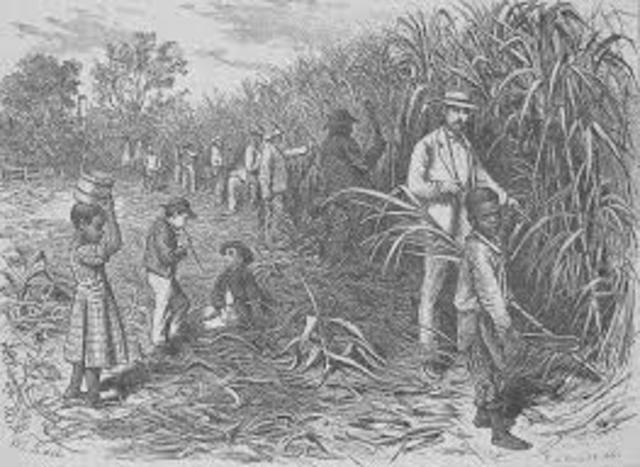 Sugar was one of most important crop throughout the Caribbean colonies. Even though the harvesting of others crops such as rice, coffee and indigo was popular. The main export and money maker was sugar. Sugar cane, the plant sugar derive from, was best grown on relatively flat land near coastal waters, where soil was fertile The coastal settings were just right placement of commercial ports that gave imperial states a geographic advantage to ship the crop throughout the transatlantic world. The Mayflower Compact was the first governing document of the Plymouth Colony. It was set for self-governance written by the male passengers of the Mayflower. When the ship was first set out to America, the intended destination was in northern Virginia. Due to storms they landed in Massachusetts. The Puritans were of the settlers on the ship that were fleeing from religious persecution by King James. The rules were made to avoid a catastrophic life without laws and ensured an effective society. Charter colony is one of the 3 classes of colonial government established in the 1600’s based on the English colonies, ran by King of England. 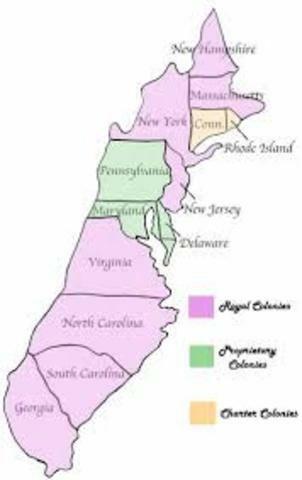 At one point of time Virginia, Rhode Island, Connecticut, and Massachusetts Bay were charter colonies. In a charter colony, Britain granted a charter to the colonial government establishing the rules under which the colony had to be governed. The charters of Rhode Island and Connecticut granted the colonists more political liberty than other colonies. 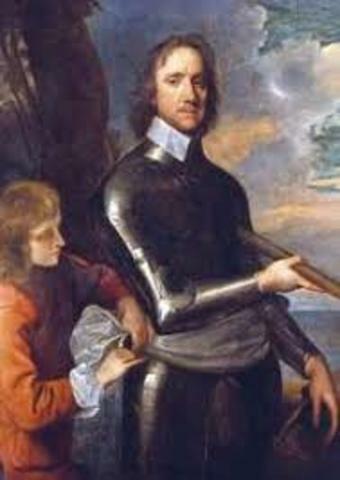 Oliver Cromwell was a distinguished English soldier and statesman. He was a decorated man that led parliamentary forces in the English Civil Wars and was lord protector of England, Scotland, and Ireland during the republican Commonwealth. Under the English Crown he was a factor to the overthrowing of the Stuart monarchy. He was one of the most remarkable rulers in modern European history, with many gifts. His influence of courageousness spread all throughout the Europe and even Americas. 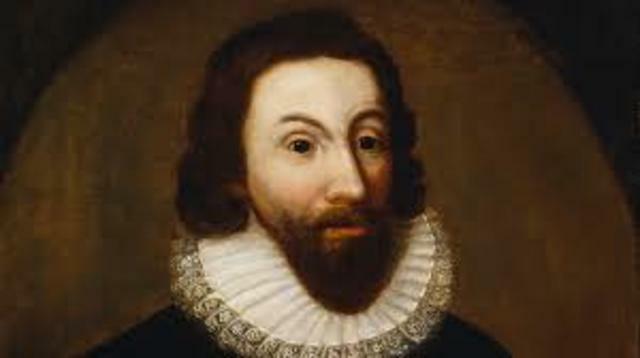 John Winthrop was a well-known English Puritan lawyer and one of the pushing factors and chief figures in founding the Massachusetts Bay Colony, the second major settlement in New England, after Plymouth Colony. 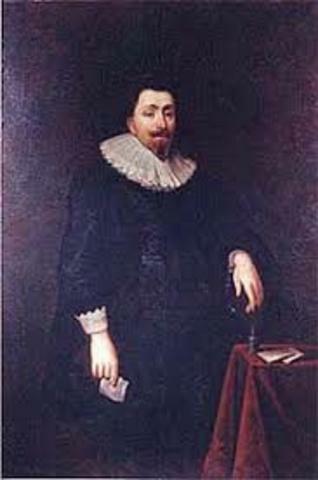 Winthrop was the leader of the first settlers of immigrants from England in 1630. He served as governor at one point for 20 years. His vision of the colony as a Puritan raved on the New England colonial development, influencing the governments and religions of neighboring colonies. Sir Isaac Newton, English physicist and mathematician, who was the astonishing figure of the scientific revolution of the 1600’s. His discovery of the composition of white light integrated the phenomena of colors into the science of light which laid the foundation for modern physical optics. 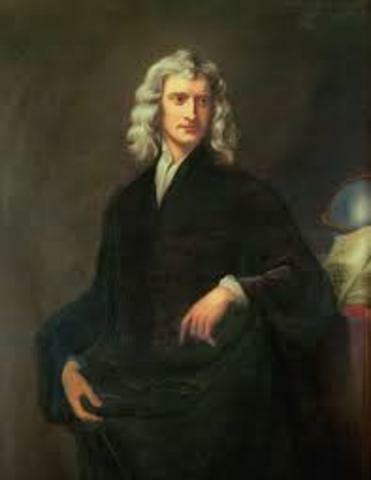 In addition to this, he had discovered gravity which led to his three laws of motion, which is the basic principles of modern physics, resulted in the formulation of the law of universal gravitation. The triangular trade is often referred to as the trade between three ports that included the ports of Europe, Africa and the Americas. The triangular trade was usually develops when a region is exporting resources that are not needed in the region from which its main imports come. 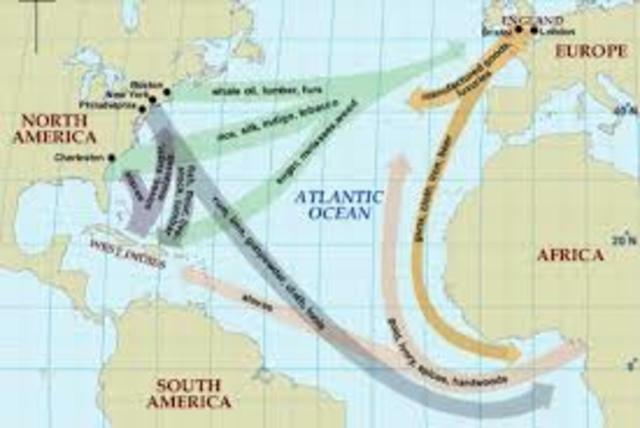 The most popular triangular trade is the infamous Transatlantic Slave Trade. 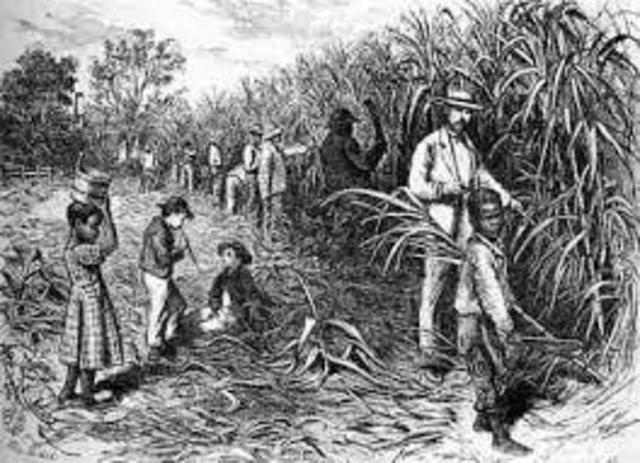 Which included the raw materials and natural resources such as sugar, tobacco, rice and cotton that were harvested in the Americas etc. The colonies mainly got their money from trade (importation of goods). The Navigation Acts was used to regulate trade by requiring that goods had to be shipped on English ships with predominantly English crews and that certain commodities be shipped to only England or its colonies. The laws fell under the rules of the economic policy known as mercantilism, which held that colonies exist for the benefit of the mother country as a source of raw materials and a market for its manufactured goods. Mostly forgotten about in modern times but George Whitefield was probably the most famous religious figure and powerful of his times. Newspapers and people of all over used to called him the "marvel of the age." 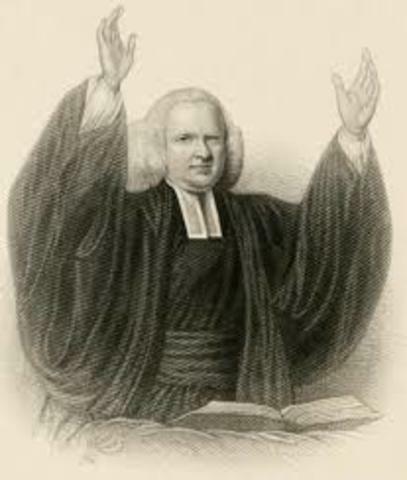 Whitefield was a preacher and had the power of commanding thousands in Europe and in the colonies. In 1739, he had set out a preaching tour all throughout the New World. In his lifetime, it is said he preached over eighteen-thousand times and to crowds totaling over ten-million people. George Washington first taste of gaining military experience began in the French and Indian War with a commission as a major in the militia of the British Province of Virginia. In 1753 he was sent as an ambassador under the British crown far north. The next year he was set to led another expedition to the area to help in the construction in Pittsburgh. Before reaching that point, he and some of his men, accompanied by Indian allies, ambushed a French scouting party. Its leader was killed. 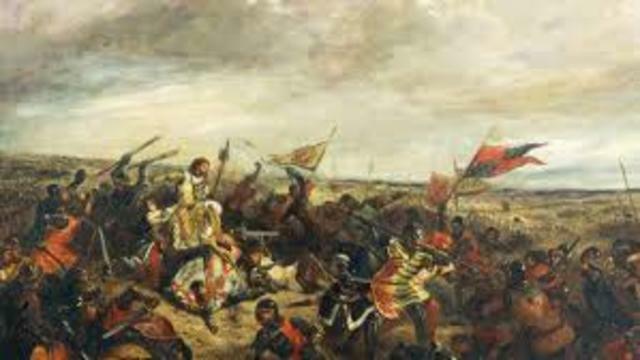 The French and Indian War was the North American conflict in a larger imperial war between Great Britain and France known as the Seven Years’ War. The conflict split Europe into two coalitions, The United Kingdom of Great Britain and the United Kingdom of France. 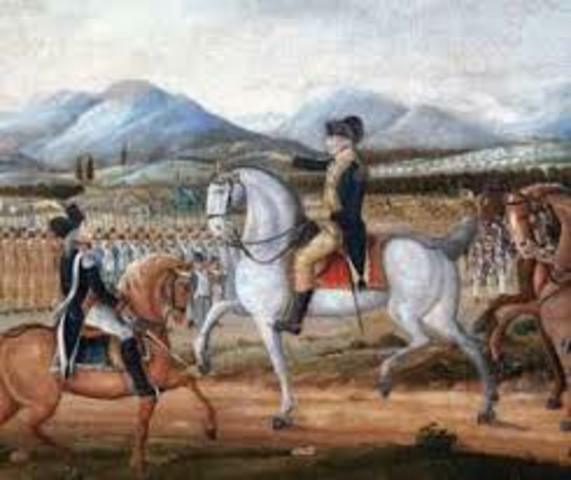 The war provided Great Britain enormous territorial gains in North America, but disputes over subsequent frontier policy and paying the war’s expenses led to colonial discontent, and ultimately to the American Revolution. 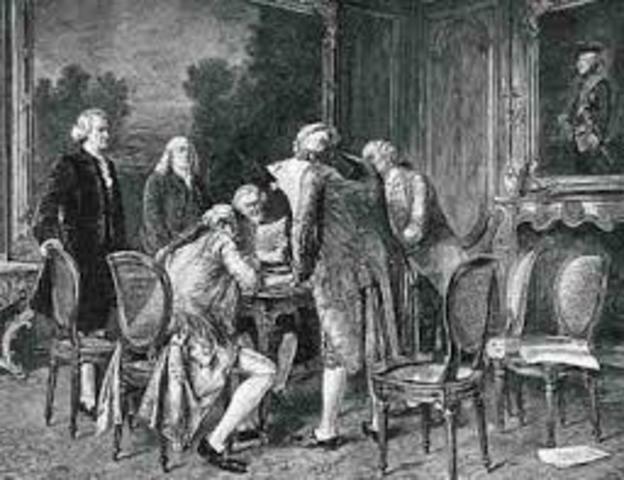 The Treaty of Paris-1763 was signed by the kingdoms of Great Britain, France and Spain, with Portugal in agreement, after Great Britain's victory over France and Spain during the Seven Years' War. The signing of the treaty brought an end the Seven Years' War,also known as the French and Indian War and with this document signed it set forth the beginning of an era of British dominance outside Europe. Great Britain and France each returned much of the territory that they had captured in war. 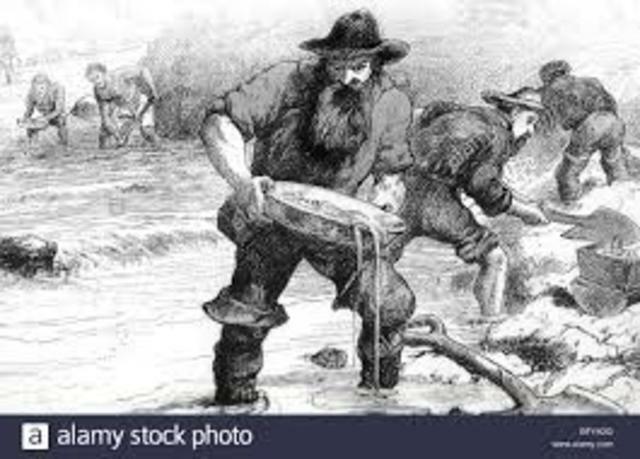 The American Revenue Act of 1764, also known as the Sugar Act, was a law that attempted to haul the smuggling of sugar and molasses in the colonies by reducing the previous tax rate and enforcing the collection of duties. It added several products to the list of enumerated commodities that could be legally exported under the Navigation Acts. It was introduced by the new British Prime Minister, George Grenville. The 1764 Sugar Act amended the existing 1733 Sugar and Molasses Act. 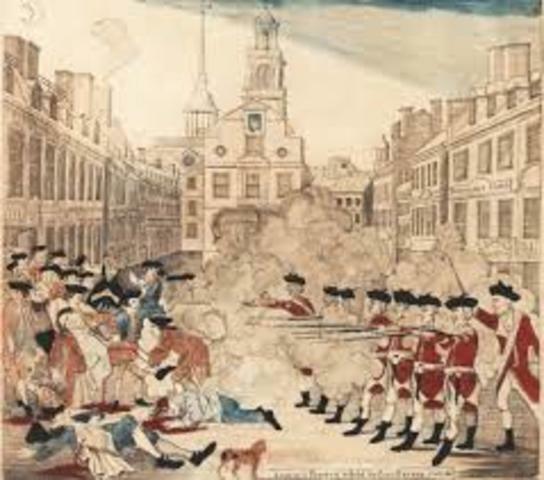 The Boston Massacre was a deadly confrontation that occurred on March 5, 1770, on King Street in Boston. 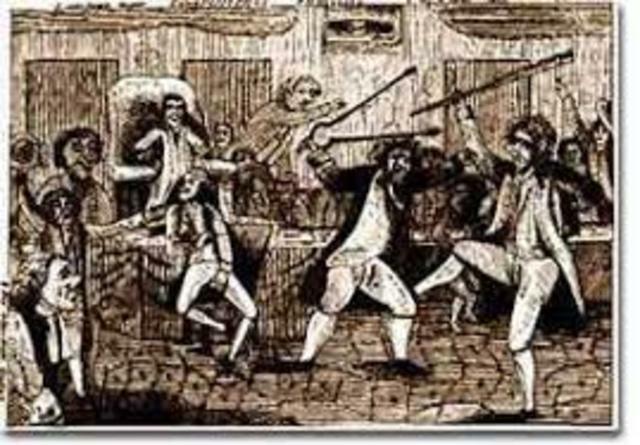 It all began as a street brawl between American colonists and a lone British soldier, but quickly escalated to a chaotic riot that led to five casualties. What cause the conflict in the first place was emotions was running high in Boston due to taxes. The conflict energized anti-Britain sentiments such as Samuel Adams and Paul Revere and paved the path that led to the American Revolution. 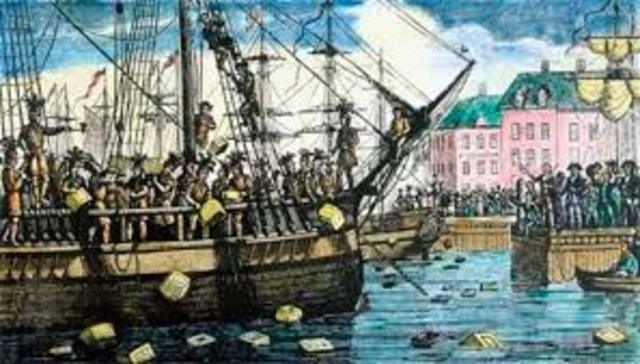 The Boston Tea Party was a political protest by the Sons of Liberty in Boston, Massachusetts, on December 16, 1773. The imposed target was the disgusted Tea Act of 1773, which caused the transporting without paying one cent in taxes apart from those imposed by the Townshend Acts. American colonists strongly disagreed and they believe it was a violation of their rights. Patriots dressed themselves as Native Americans and destroyed an entire shipment of tea sent by the East India Company. 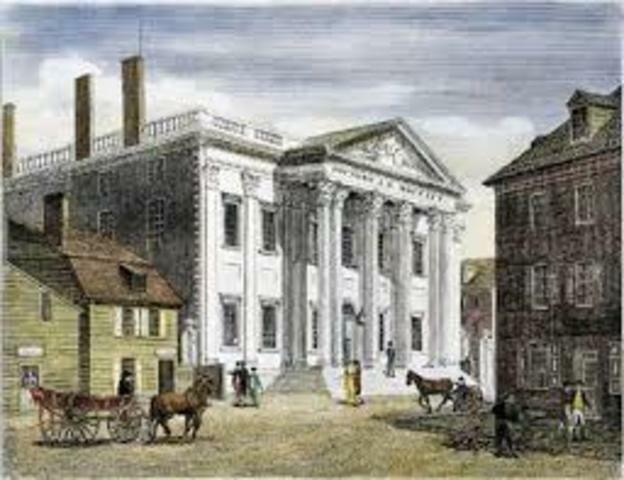 The first Continental Congress took place in Carpenter's Hall in Philadelphia, that lasted from Sept. 5 to Oct 26, 1774. The purpose was an instant response to the intolerable acts that was from the British parliamentary for the Boston tea party. All of the colonies except Georgia sent delegates. The colonies presented there were all united under the same agenda to stand up to the face Great Britain, but their aims were not uniform. Pennsylvania and New York sent delegates to seek a resolution. 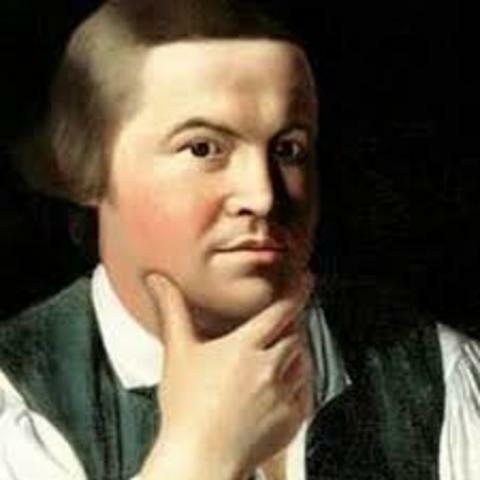 Paul Revere is thought of as a patriotic hero of the American Revolution whose famous for the dramatic horseback ride on the night of April 18, 1775, warning Boston-area residents that the British were coming.Was well known silver artist. He had also helped organize an intelligence and alarm system to keep watch on the military. He not only made silver pieces but also a jack of all trades as he designed surgical instruments, sold spectacles, replaced missing teeth, and engraved copper plates. 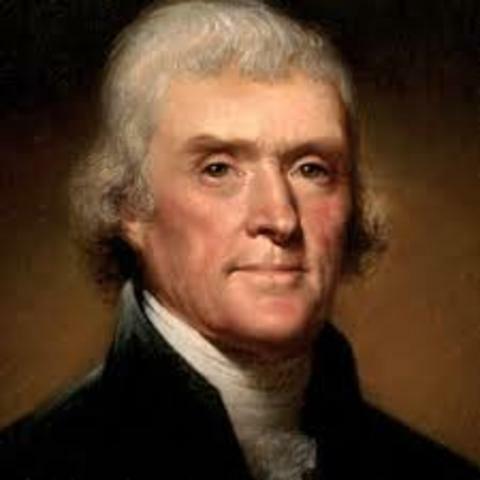 Thomas Jefferson, is the principal author of the Declaration of Independence and serve as the third U.S. president, he was an impactful figure in America’s development. 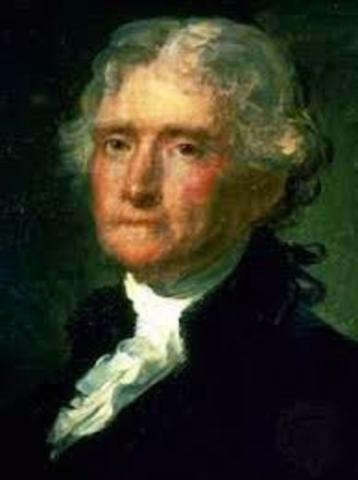 During the American Revolutionary War, Jefferson also served in the Virginia legislature and the Continental Congress. After being vice president under John Adams, he was elected president in 1800. During his two terms as president he was responsible for the Louisiana Purchase and the Lewis and Clark expedition. 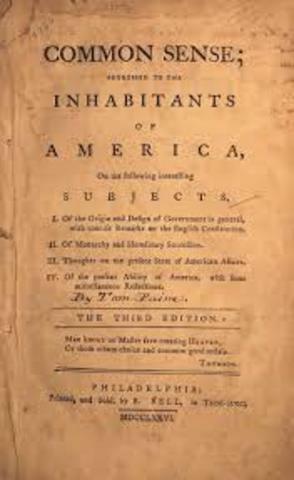 Thomas Paine wrote and published Common Sense in 1776. 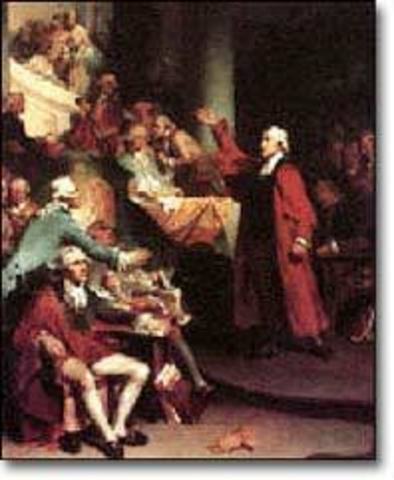 The pamphlet was to challenged the authority of the British government and the royal monarchy as they set pass the intolerable acts upon the colonists. Unlike today where pamphlets are rarely used, back then was a main way to spread information around. The plain language that Paine used spoke in the pamphlet for audienced to the common people of America. The work is thought of as the most influential pamphlets in American history. The idea of the Virginia plan was formed by Virginia delegates for the purpose of having a bicameral legislative branch. The plan was drafted by James Madison while he waited for a plenum to assemble at the Constitutional Convention of 1787. The Virginia Plan was important because it set the overall agenda. The goal of the Virginia Plan was to have a strong national government. Also, was the first document to propose a separation of powers into executive, legislative, and judicial branches. The New Jersey Plan was one of the three ways that the United States looked at as an idea to govern the country. The Plan suggested each state to have one vote in Congress rather than the number of votes being based on population. William Paterson, a New Jersey delegate made the proposition at the constitutional convention, on June 15, 1787. The goal was to restructure the unicameral Articles of Confederation. Each state should be equal and have power to tax and regulate interstate commerce. 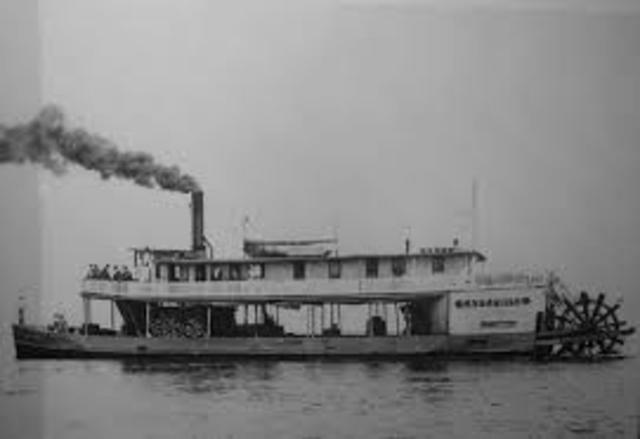 The steamboat was any watercraft that was ran by steam, specifically a paddle wheel steamboat was widely used on rivers, particularly on the Mississippi River and its connecting streams in the U.S. This began in America in 1787 when John Fitch made a successful trial on the boat. Robert Fulton’s profitable experimentation followed, when he design a model to travel up and down the Mississippi River. His vessel that he design with Robert Livingston traveled at the speed of eight miles per hour. 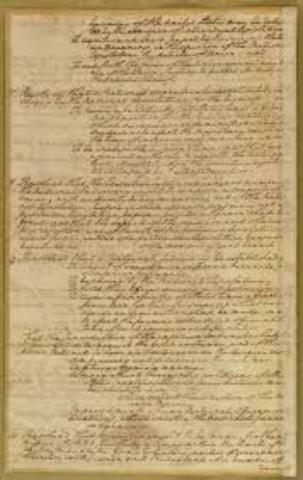 The two-house structure of the legislative branch of government for United States that we have today was decided with the creation of the Connecticut Compromise, making it significantly important. 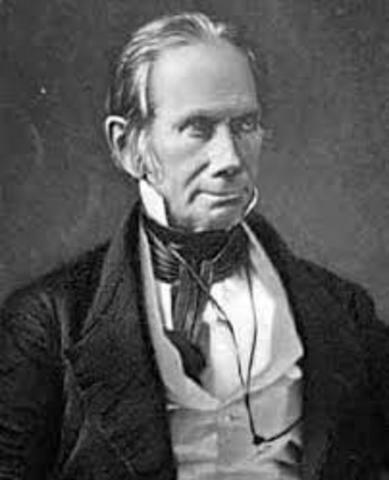 Authored by Connecticut delegate Roger Sherman, it called for proportional representation in the House, and one representative per state in the Senate. The Anti-Federalists claimed the Constitution gave the central government too much power, and without a Bill of Rights the people would be at risk of oppression.The Anti-Federalist papers were written over a number of years, anonymous people, and debates over who wrote them continue to this day. 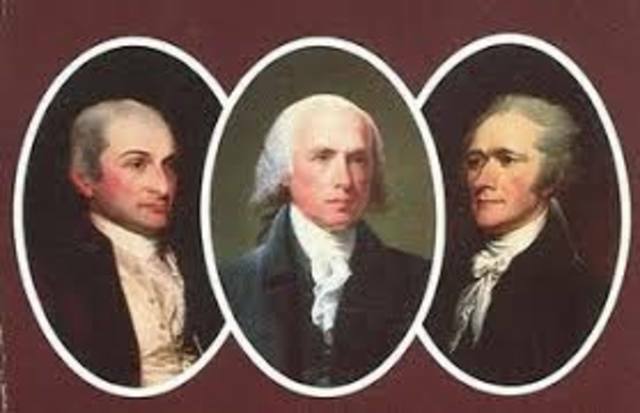 Unlike the authors of The Federalist Papers, a group of three men working closely together, the authors of the anti-Federalist papers were not engaged in an organized project. At the Constitutional Convention in 1787, the founders of the United States Constitution worked to build the foundations of a strong federal government. But they also wanted to preserve the liberty of individual citizens and ensure the government didn’t abuse the power it carries. Article II, Section 1 of the Constitution states: “The executive Power shall be vested in a President of the United States of America.” The President approves and carries out laws passed by the legislative branch. The Legislative Branch is headed by Congress, which consists of the House of Representatives and the Senate. The main task of these two figures is to make the laws. 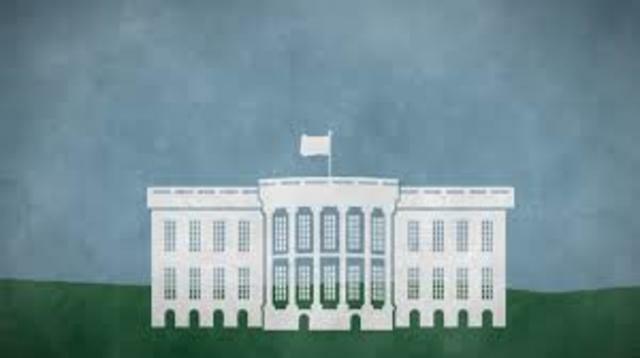 The House of Representatives consist of 435 members and must be 25 years of age and a citizen of the country for at least 7 years, while the senate is composed of a total of 100 senators, 2 for every state and must be 30 years of age and a citizen for at least 9 years and must be a resident of the state that is being represented. 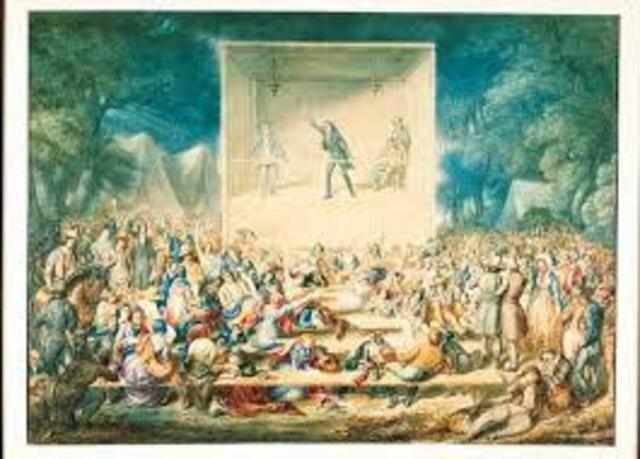 The Second Great Awakening was a famous Protestant religious revival during the early 19th century in the United States. The movement took its course around 1790 and acquire great recognition at 1800. The outcome by 1820, people seek to become members at the Baptist and Methodist congregations whose pastors led the movement. It gained its highest peak by the 1850’s and The Second Great Awakening was a mirror of Romanticism characterized by enthusiasm, emotion, and an appeal to the supernatural. The bill of rights serves to protect citizens from excess government power. The bill of rights ensured there would be separation of powers between the three government branches the judicial, executive, and the legislative. 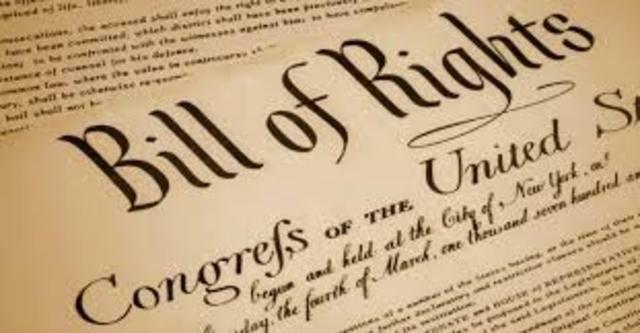 The Bill of Rights contains the first ten amendments to the United States Constitution. It contains rights designed to guarantee individual freedom. The point of the bill of rights was and remains that all basic human rights are protected under the United States constitution. The Bank of the United States created paper money and provided a stable currency. 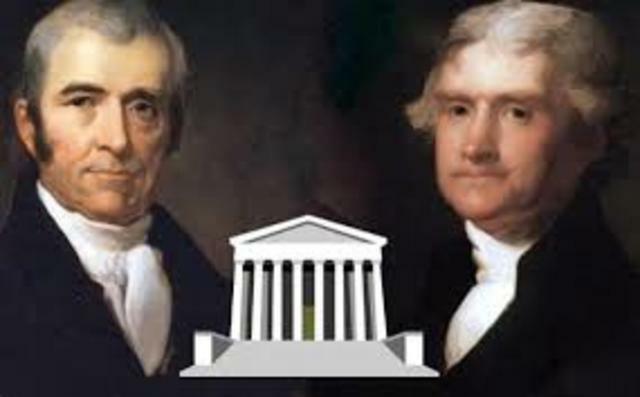 At first the Idea of the Bank was very controversial because Jefferson did not believe it was constitutional. Washington was indecisive regarding this idea. Article 1 section 8 (states it is not something congress can create) but Hamilton Disagrees with Jefferson and says the 10th amendment that anything congress can’t do the states are given the power. Washington agrees with Hamilton and the Bank is created. Alexander Hamilton was the founder of the political party, his supporters were typically urban bankers and businessmen, they believed in strong central government, & the president should have an aristocratic title and that the country should have a diversified economy. So they formed the Federalist Party to promote their shared political ideas. Also, the Federalists felt that the Constitution was open for interpretation. 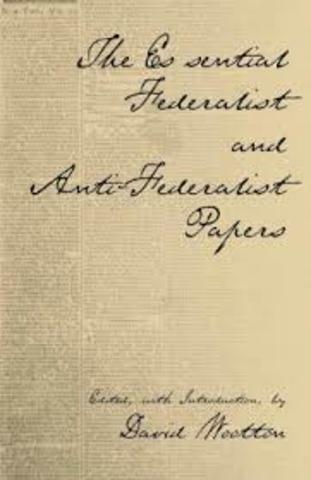 They created the Federalists papers in the collection of “The Federalist”. 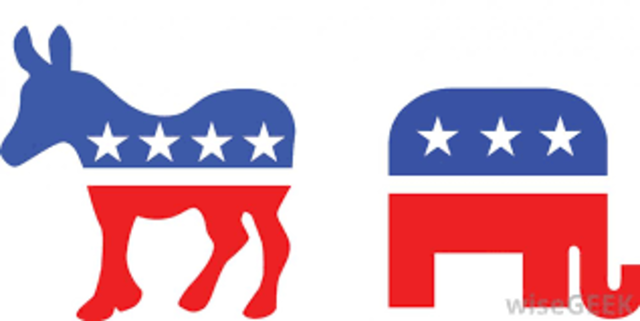 This political party was founded by Thomas Jefferson and James Madison. They believed that the president should be equal to the people, they also supported the Idea of a weak central government. They supported the rural economy which was to improve the economic status of those people that made their living off of tobacco and other agricultural aspects. Democratic republicans argued that the Federalists Idea of more power to fulfill its duties under the constitution was unnecessary. 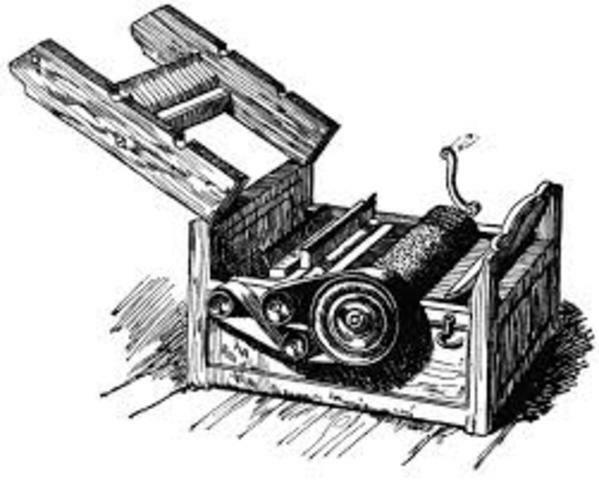 The cotton gin was invented by Eli Whitney, it was a machine that enhanced work quickly and easily to separates cotton fibers from their seeds. It made far more greater productivity than manual cotton separation and picking by hand obsolete. 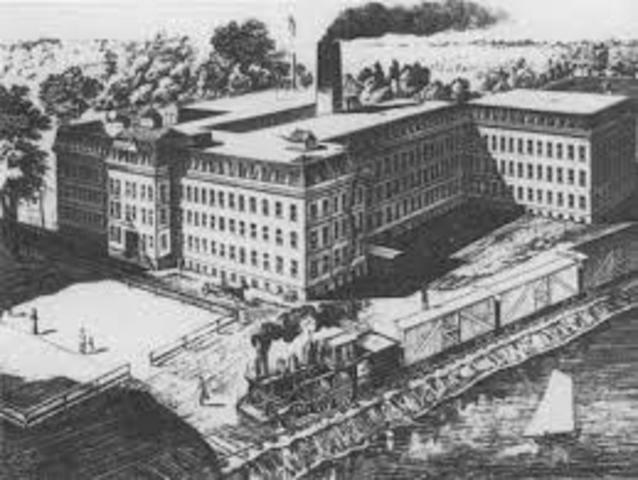 The fibers were then processed into various cotton goods such as linens, and if was undamaged cotton is was put to use for manufacturing textiles such as clothing. The separated seeds wasn’t only to be used to grow more cotton but to produce cottonseed oil. He is known as the “Father of Texas”, an American empresario, was the the first man to create Anglo-American colony in the Tejas province of Mexico and saw thrive into an independent republic. His father received an empresario grant from Spain to settle Texas. After his death, He also won the empresarion grant from the independent state of Mexico. He also lead the second and the most successful colonization of the region by bringing approximately three-hundred families from the US to the region. The Whiskey Rebellion was 1794 revolt of farmers in Pennsylvania who were against a whiskey tax that was imposed by the government. To be continued with years of aggression with tax collectors, the region finally exploded in a confrontation that made Washington retaliate by sending troops to settle what many worried could be the start of a revolution.The Whiskey Rebellion of 1794 was important because it proved that the United States Government will and did enforce the power of the government. 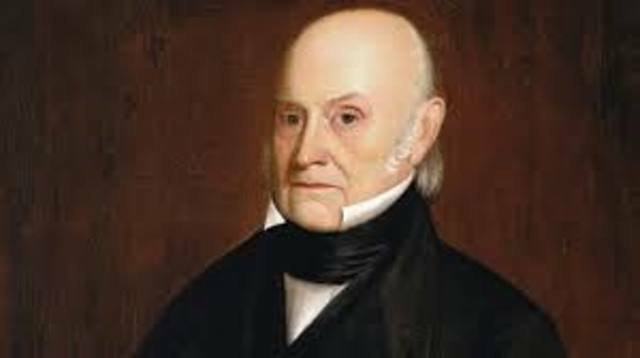 John Quincy Adams, was the sixth president for the United States and was a statesman. Also once the eighth United States Secretary of State right before he became president of America in 1797 to 1801. John was the son of the second President John Adams. 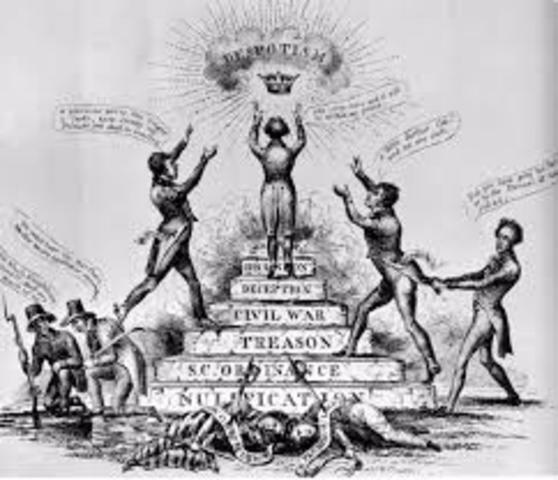 He started his political agenda as Federalist just as his father but won election of presidency as a member of the Democratic-Republican Party, but by the mid 1830’s his political view changed again when he became affiliated with the Whig Party. The purpose of the Alien and Sedition Acts was to protect America. John Adams wanted to silence his opposition, which was the Democratic-Republicans who were led by Jefferson. Alien Act made it more difficult for foreigners to become US citizens because instead of only having to wait for 5 years the act changed it to a 14 year waiting requirement. Also, the Sedition Act made it illegal to criticize the government and nothing that was false information on the president could be printed or said. Before the Industrial Revolution, most goods and products were produced in very small shops, farms or at home. Mass production in factories/companies gave comfortability and possibility to manufacture goods in a way cheap and quick way. Enormous markets for these goods were becoming available to the public and opening up in the new cities, hence the the term urbanization. This was also popular in the lands and areas that the European nations such as Great Britain and Spain were conquering. Jefferson a founding father, the 3rd president of the US who won the election against Aaron Burr and served from 1801-1809. Eventually became the 2nd vice president (1797-1801) as well the founder of the Democratic-Republican Party which was a big deal because federalist were no longer in power. Jefferson was for the people as he considered himself an ordinary man. He guaranteed minorities rights,he removed the Alien and Sedition acts, and he was the draftsman of the Declaration of Independence. In the supreme court case Marbury V. Madison, the principle of judicial review was set. 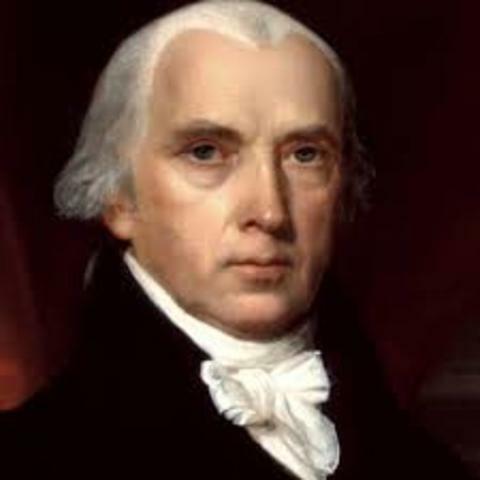 In 1801, when William Marbury petitioned the Supreme Court to put forth a writ of mandamus ordering Secretary of State James Madison to send his commission as justice of the peace Madison denied his request which led to the lawsuit and be most significant decision. This gave the judicial branch its power of deciding whether a law that is passed by congress or the executive branch is constitutional or not. 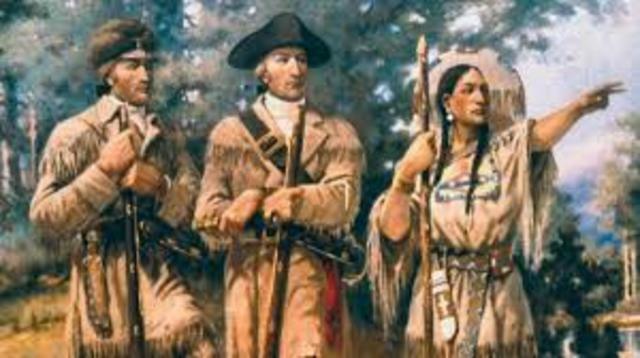 The famous Lewis and Clark expedition, also known as the corps of discovery expedition took place from May 1804 to September 1806. It was the first American expedition to venture into the western parts of America. It began near St Louis and took it’s route westward as it passed through the Continental Divide of the Americas to land into the west ocean, the Pacific Ocean. The journey had only a set group of US Army volunteers under the command of Captain Lewis and his colleague Lieutenant Clark. 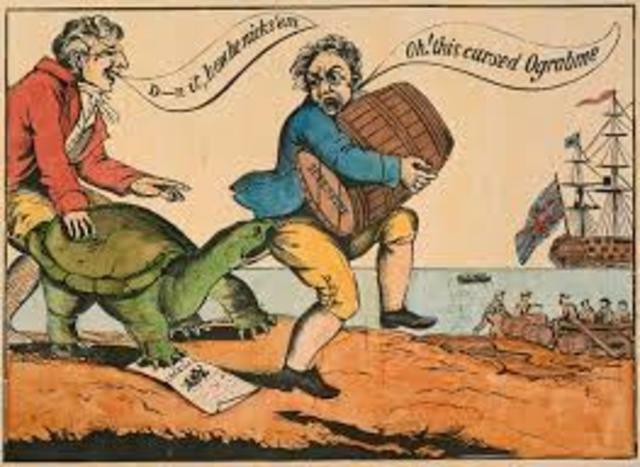 The embargo act of 1807 was an embargo signed U.S. Pres. Thomas Jefferson’s as a way to withstand to British and French harassment on U.S. merchant ships what was thought to be carrying, things of war nature to European fighting grounds during the Napoleonic Wars. The embargo was retaliation to the violations of the United States international relations. The British Royal Navy was popular for military conscription forcing thousands of British-American sailors into service on their warships. 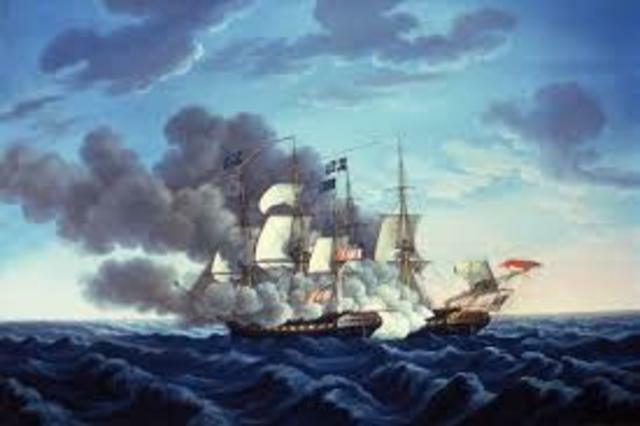 In the War of 1812, the United States had claimed war on the greatest naval power in the world at the time, Great Britain. 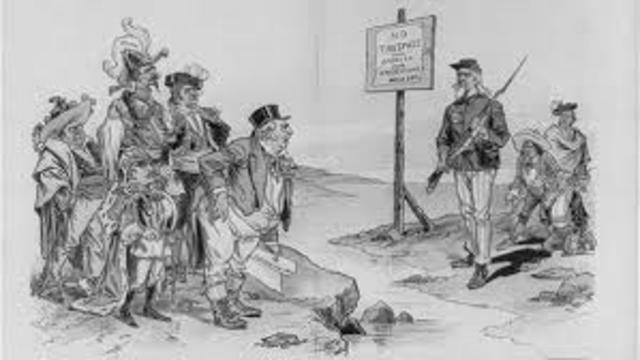 Causes of the war was some circumstances included British attempts to halt U.S. trade, the Royal Navy’s impressment of American sailors America’s sheer desire to claim new lands. The United States may have resulted in many costly defeats at the hands of British, Canadian and Native American. American troops were able to uphold British invasions in New York and other cities. 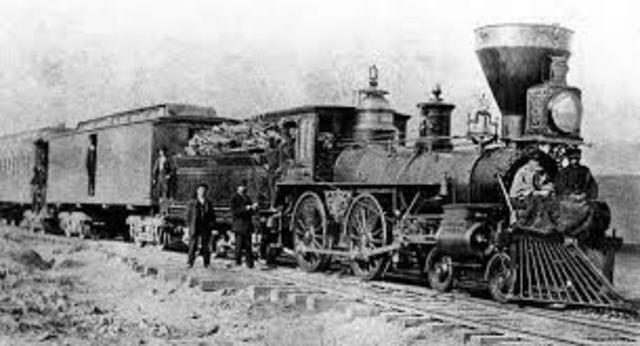 The construction and development of railroads was one, if not the most important production of the Industrial Revolution. With their formation, construction brought many accomdities to a new country such as social, economic and political change. Over the next half century, the young America would also witnessed impeccable bridges and other constructions on which trains would be able run on as engineering for railroading skyrocketed and the majesty of rail locomotives crossing the country. The reign presidency of James Madison from March 1809 to March 1817. He was the fourth United States president following the presidency of Thomas Jefferson. 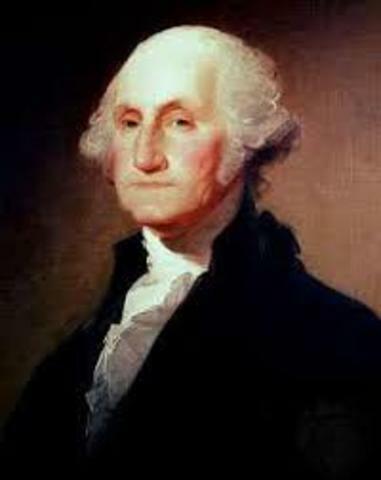 His presidency was mostly occupied by the War of 1812 with Britain.A founding father, a pusher for a strong federal government, the Virginia-born man was responsible for the first drafts of the U.S. Constitution and the Bill of Rights and famously earned the nickname “Father of the Constitution.” And created the democratic-republican party. 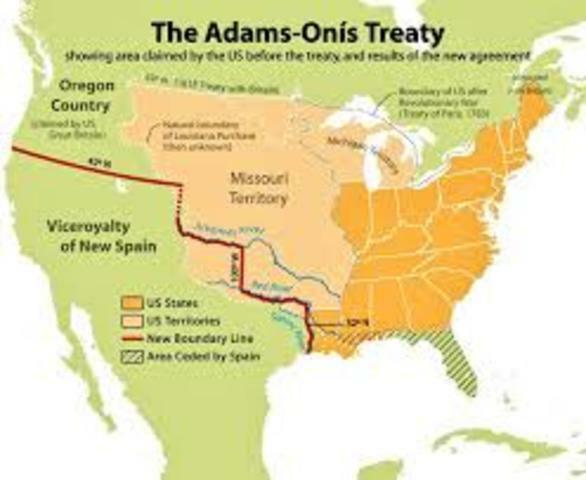 The Adams-Onís Treaty of 1819 was a treaty between the United States and Spain in 1819. Overall that addition of Florida to the U.S. and defined the boundary between the U.S. and New Spain. It ultimately resolve the standing border issues between the nations Florida was becoming a great burden to Spain, where it couldn’t send anymore people to the land. The Spaniards came up to cede the lands to the U.S. through this treaty in exchange for settling the boundary dispute along the Sabine River. 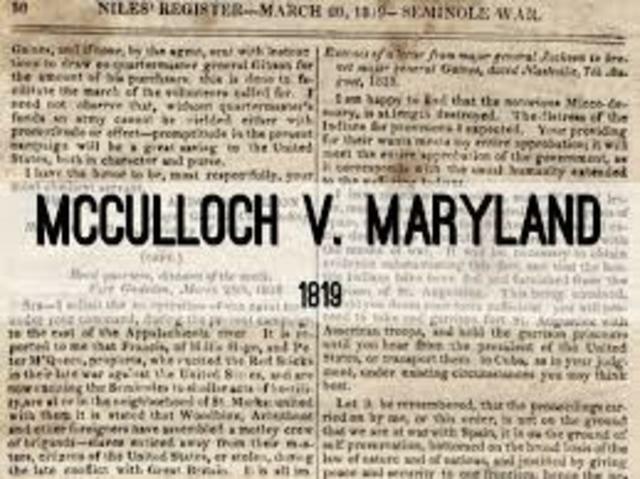 McCulloch vs. Maryland was a U.S. Supreme Court case that resulted in the "Necessary and Proper" Clause of the U.S. Constitution. This clauses gave the federal government certain implied powers that are not expressed in the Constitution. 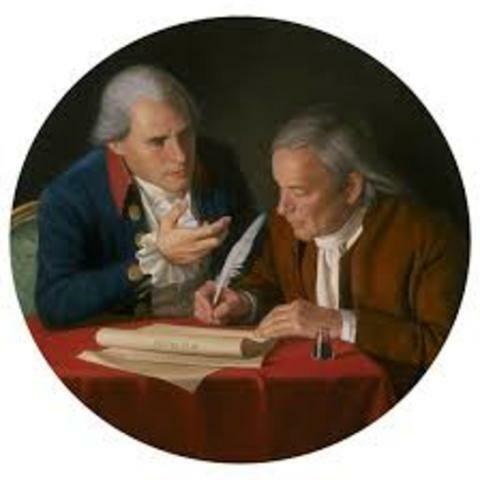 The state of Maryland had made an effort to impede operations on the Second Bank of of US.The Court called upon the Necessary and Proper Clause, which allows the government to pass laws that were not really expressed in the Constitution's list of express powers. 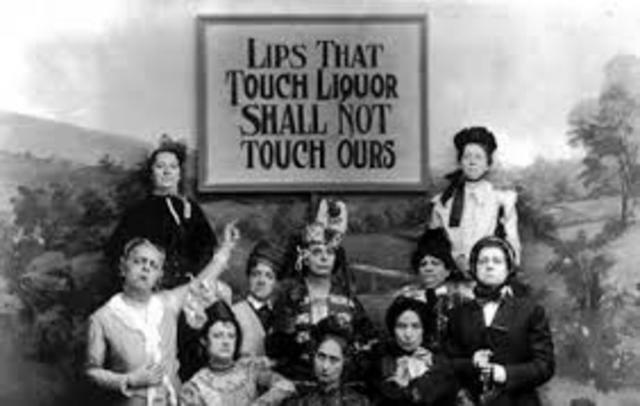 A movement by society that were against the intake and selling of alcoholic beverages. People that were involved in this movement were persistent and normally blasted alcohol intoxication and were pursuers of complete abstinence, with charismatic leaders sharing alcohol's unforgivable outcome it has on health, personality, and family life. They demanded new laws to be put in place against the selling of alcohols. This was successful because it ultimately led to Prohibition in the United States. 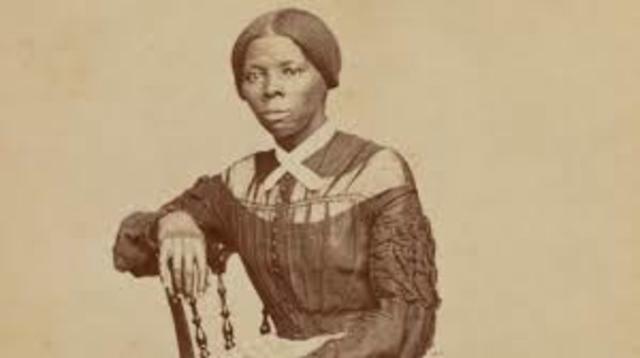 Harriet Tubman, born somewhere between 1820 and 1822 on a plantation in Maryland.Harriet Tubman was an escaped slave who was famed as a conductor of the Underground Railroad, leading slaves to freedom to the North while being a healthy bounty.She was more than what she’s known for as she is also a nurse, a women's suffrage supporter, and she frequently helping enslaved people to find the resources they need.Tubman is an icon in American history as she inspired many for her brave acts. Monroe Doctrine, composed 1823,was a policy articulated by President James Monroe was presented to Congress during his annual statement.It was the realization that the Old World and New World had different systems and basically stating that the both sides of the world must stay in there respectable hemispheres. Monroe made four simple rules basically stating where US should and should not interfere, and if any European power were to go against these rules it will be considered hostile act to US. Jackson was beloved by the country who recognized that he had the great potential to take the nation to new heights it needed, so he listened and ran for presidency. In 1824, people went to the polls. Though Jackson won the popular vote he did not win enough Electoral College votes to be elected. The decision fell to the House of Representative, who elected John Quincy Adams. Jackson accepted his defeat until rumors swirled that Clay and Adams had struck a deal to ensure Adams’ election. The “common man” saw in Jackson, a like-minded individual and sent him to Washington to take office and crush the power of the aristocrats. Voters trusted Jackson and saw his military accomplishments as an indication he would bring the same success. As president, Andrew Jackson strengthened the power of the presidency, defended the Union, gained new respect for the United States in foreign affairs, and pushed the country toward democracy. That was his goal for the nation at his new position. 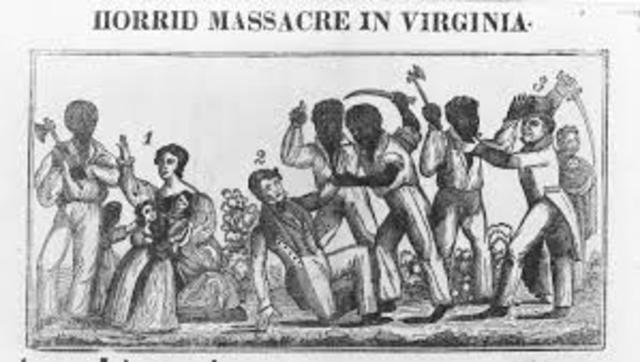 Nat Turner’s Slave Rebellion took place in Southampton County, Virginia, in August 1831, led by Nat Turner. An African-American man that led a two-day slave rebellion. Rebel slaves killed from 55 to 65 people, most of the victims being white. The rebellion was fortunately abolished within a few days, but Nat Turner survived and wasn’t caught until two months after. The rebellion put fear and rage into many people. So a series of white militias were organized in retaliation against the slaves. 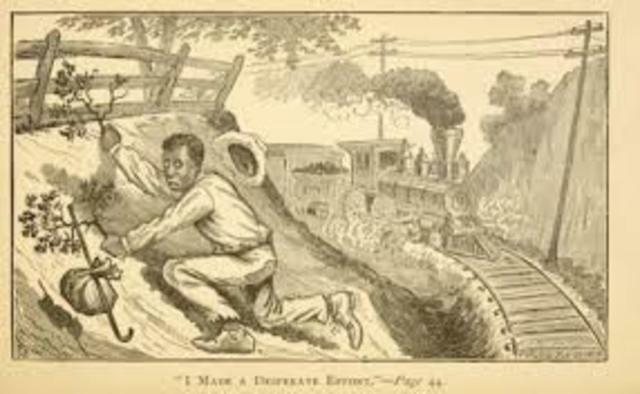 The underground railroad was a design network of people, black and white, that made it a way to help escape slaves get to the North by the assistance of offering shelter and hostility.The times of these doing are not exactly known, but it is said it had been utilized from the late 18th century to the Civil War.The most earliest notice of the Underground Railroad derived from a 1831 reporting of slave Tice Davids escaped from plantation and his owner blamed an “underground railroad” for this. Jackson implemented a new tariff on goods. South Carolina, led by Jackson's former VP and ardent states' right supporter John C. Calhoun, claimed to nullify the order from the federal government to not implement it. 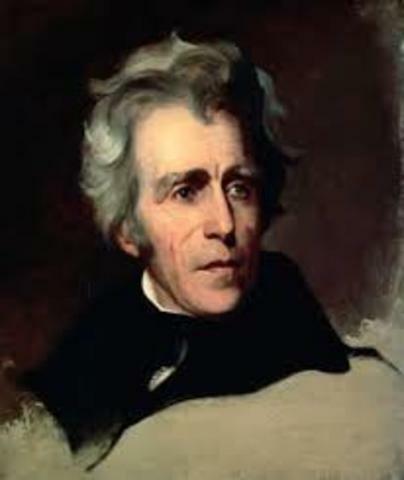 Jackson, a staunch proponent of the central government, made it very clear that he would use military might to force South Carolina to accept the tariff if wasn't peacefully. It was on the more public displays of fighting between states and central government before the Civil War. 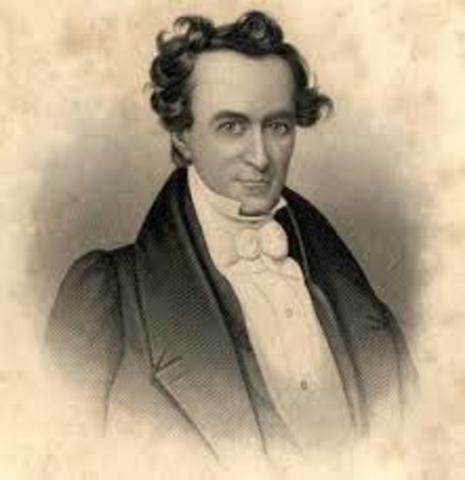 He was an American lawyer and an influential figure in the religious revival movement of the early 19th century. He is often thought of as the first of the professional evangelists. Charles founds references in his studies somehow drifted him to Bible study, and following he made a drastic religious conversion. He left his law practice to become an evangelist and was eventually licensed by the Presbyterians. His revivals gained massive success in large cities all over the country. 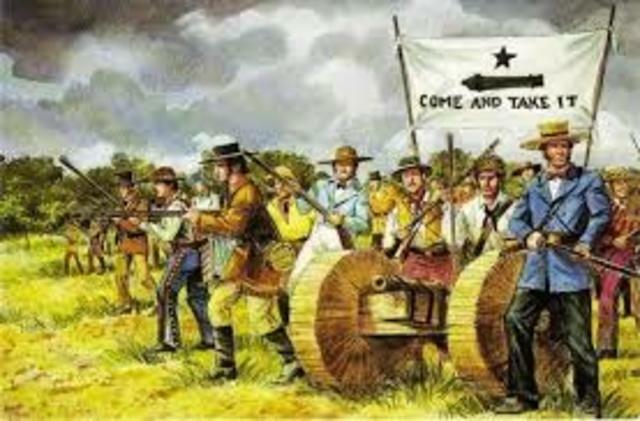 This was known as the was the first military engagement of the Texas Revolution. As it was fought near Gonzales, Texas, the dispute was between Texian settlers & a troop of Mexican army soldiers. 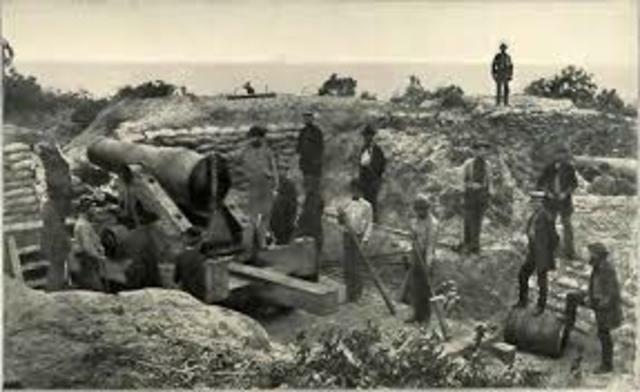 Back in 1831, Mexican officials gave the settlers of Gonzales a small cannon to help protect them from raids that would be often from the Comanche. Over the course of four years the authority of the Mexican authority decline and several states revolted. The soon realized it wasn't good to leave behind. He was an economist and a professor of law. 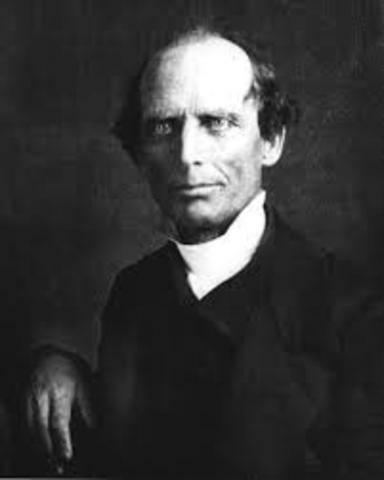 His contributions to the Pro Slavery Argument were influential as it offered theological, political in a rebuttal with the anti-slavery of his age. Dew stated, that slavery was not a sin, but was essential to social institution that’s why God did not interfere and expressed that Jesus did not speak against slavery. Neither did he believe it was inhumane. He saw masters treat their slaves with respect and fairness that slaves responded with obedience. 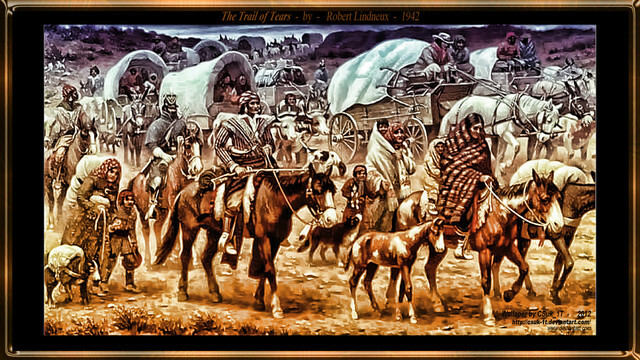 As part of Andrew Jackson's Indian removal policy, the Cherokee nation was forced to give up territory they inhabited for generations, east of the Mississippi River and migrate to an unknown land which is now present day Oklahoma.The Native Indians were the Cherokee people, a strong-brave set of people, that called this journey the "Trail of Tears," because of its unbearable outcome. The people had to endure hunger, disease, and exhaustion on the forced march. Thousand of native Indians died. 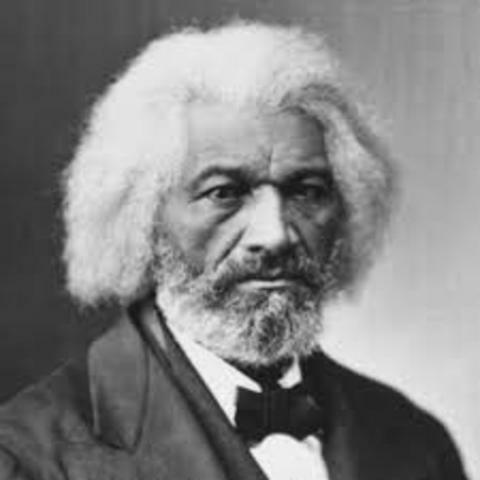 Douglass, was a man brought up as a urban slave who seeked the spread of knowledge. He was compelled into plantation slavery after being caught teaching other slaves how to read and write. He claimed they were differences between an urban-slave and plantation-slave, he expressed why the urban-slave was more privileged. He was also a spokesperson for the women’s suffragist movement. He believed that women should have the same rights as men. He participated in many Civil Rights Movements. There were two sets of Americans that wanted to fulfill the idea of the republican vision for the new nation,there were yeomen farmers and urban artisans. These two sets of Americans made up the predominantly the majority of the white male population, hence the reason they were the biggest beneficiaries of the result from the revolution. A same set of values like honesty and hardworking couldn’t be taken away or denied and they made that fulfillment for the republican vision for the new nation. The Seneca Falls Convention was the first woman's rights convention that took place in the United States. The setting was back in July 1848 in Seneca Falls, New York. The meeting was the very influential and immensely impactful as it kicked off the women’s suffrage movement. Only have to withstand a some more decades without suffrage with many activist and leaders joining and influencing the cause, by the end seventh decade after the convention women were empowered the right to vote. The began when the first settlers of Chinese ventured to San Francisco. 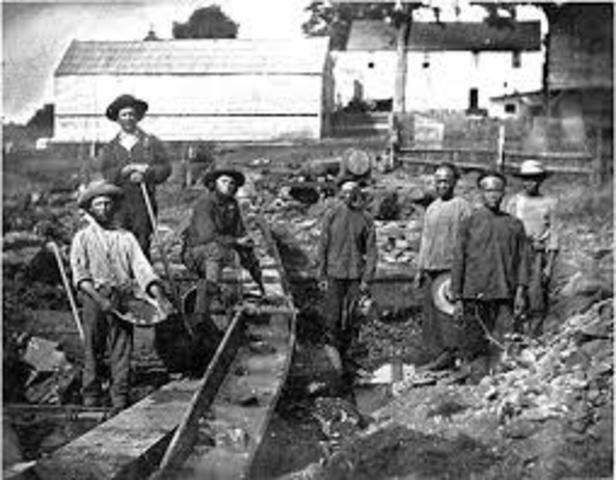 As the Chinese people had a reputation of leaving China to work in other parts of the world. Increased taxes after many wars forced many poor people and farmers off their land. Not only wars, but after years of floods and droughts led the Chinese nation into economic desperation. The Chinese men who sailed to California weren’t book smart and most couldn’t even read or write, but dreamed of new possibilities. He was known as the “Great Compromiser” and was one of America’s beloved politicians. He was leader of the Whig party and ran for presidency five times and was unsuccessful in each. He was a great influencer in the central role of national politics for over four decades. He served under John Adams as secretary of state and was a speaker of the House of Representatives, held the position longer than anyone else in that century, and the most influential member of the Senate during its golden age. He was the 12th president of the United States, only served a short term from 1849-1850. 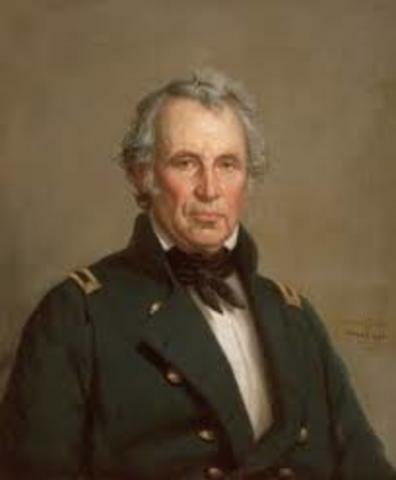 Before his presidency, Taylor’s had a career in the army as he was a major general and became a national sensation with his glorious victories in the Mexican–American War. He was elected president despite his non-existent political beliefs. His main goal was always about preserving the Union, but died shortly into his term after serving a unfortunate 16 months before making any drastic changes in the nation. 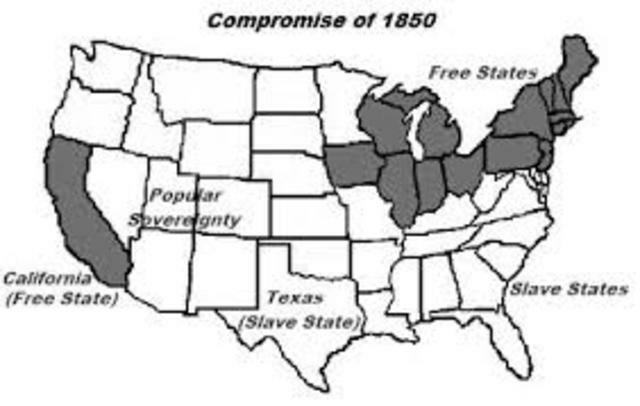 The Compromise of 1850 was composed of five laws passed in Sept. of 1850 that handle the matters with slavery. In 1849 California wanted to join the union, causing an imbalance between slave states and free states. The Fugitive Slave Act was added to the constitution and the slave trade occurring in D.C. was abolished. In conclusion, California was added to the Union and Utah as turned into a government territory. Also, an act was passed settling a dispute between Texas and New Mexico. Henry David Thoreau was a scholar. He received a well suited education, he was eventually admitted into Harvard. 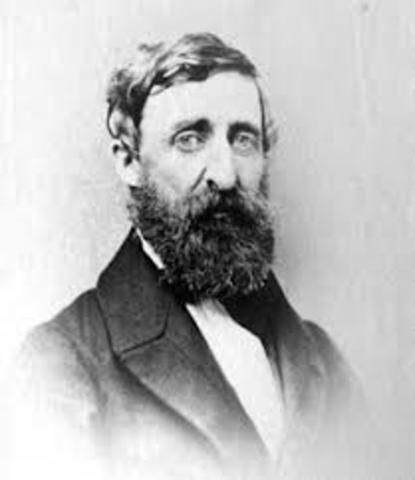 Thoreau was out looking for a job, and was able to work as a live-in handyman to Ralph Waldo Emerson. While with Emerson, Thoreau developed ambitions of becoming a writer and got help from Emerson in getting some poems and essays published in the Transcendental journal, The Dial. One of them being his thoughts on Fugitive slave law "Slavery in Massachusetts". 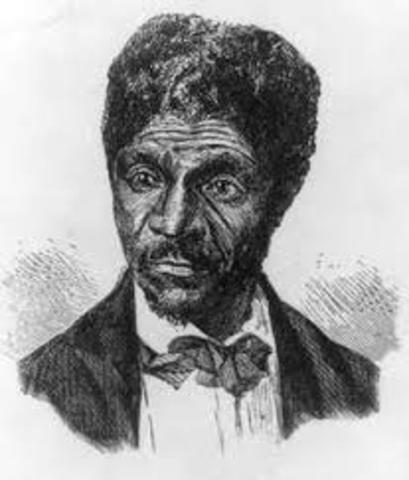 In Dred Scott v. Sandford, was a landmark decision in the U.S. supreme courts which began its argue in 1856 and came to a decision in 1857. The Supreme Court proposed that Americans of African descent doesn’t matter whether free or slave. The Supreme Court also stated that Congress did not have enough power to ban slavery in the U.S. territories. Ultimately, the Court said that the slave owners right was protected by the fifth amendment and slaves were property. 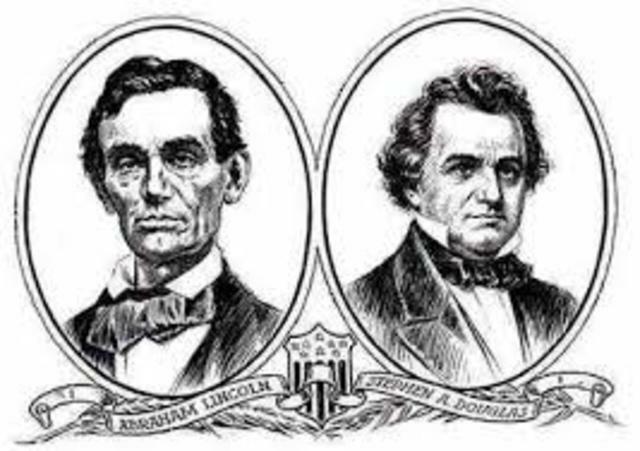 The Lincoln–Douglas debates, or known as the Great debates was a set of seven debates that occurred between Lincoln, the Republican candidate for senate, and Senator at the time,Stephen Douglas. Lincoln and Douglas were influencing for their party to win control.The debates foreshadowed Lincoln eventually having to deal with in his astonishing victory in the presidential election.Even though Illinois was considered a free state, the matter that was debated was about slavery in the United States. The South, referred to as the confederacy during the civil war, formed the Confederate States of America. Jefferson Davis, once a senator, was appointed President of the confederacy and opposed the union. They lacked many resources compared to the north but made up for it. 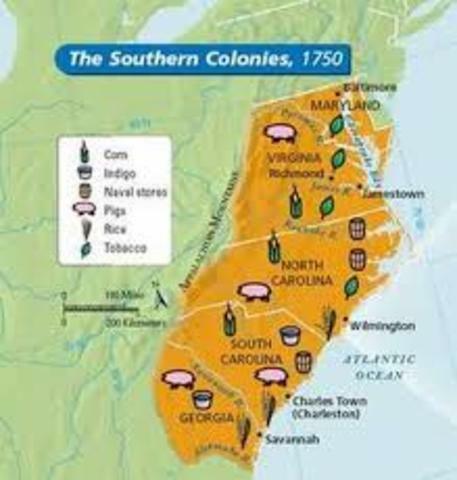 The South was able produce all the food it needed for the war and most importantly had good military tactics. The South was composed of very trained officers, Seven of the eight military colleges were located in the south. 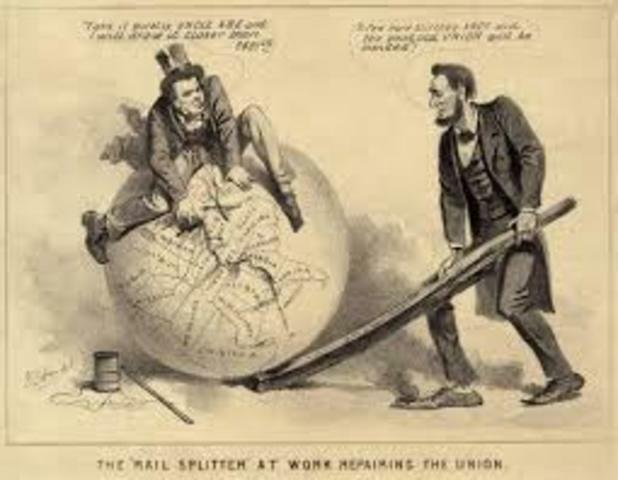 The North, known as the Union in the civil war, distinguished the United States of America under the leadership of Lincoln. The union was against the southern states. The Union was superior to the Confederacy in almost every way.More than twice the population and held an industrial advantage over them. 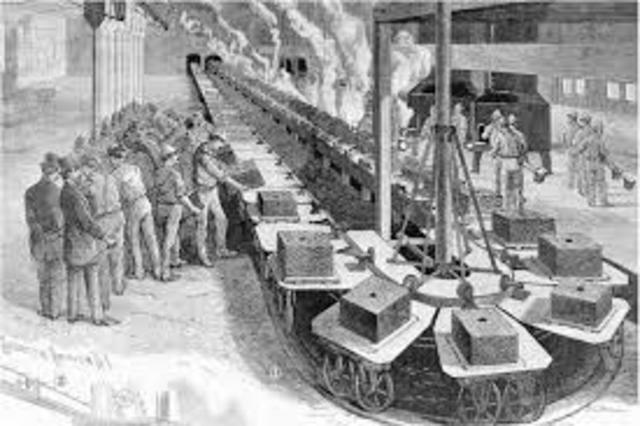 At the start of the war, the Confederacy had a mere one-ninth the industrial capacity compared to the Union. There was not even a rifle manufacturer located in the South. This was a big advantage. 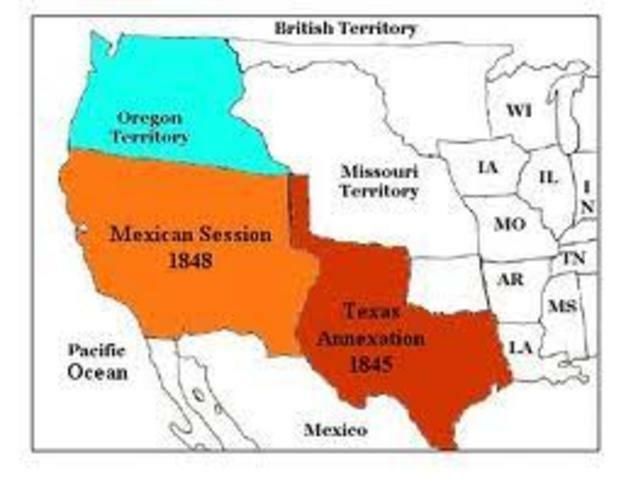 Neutral States were the border states that did not leave the United States of America during the civil war. These states comprised of Delaware, Kentucky, Maryland and Missouri. The state of West Virginia is also consider one. Kentucky was an factor in the war, whereas Lincoln believe they were key factor in winning. Maryland was important as the state gave each side of the war space between each other. 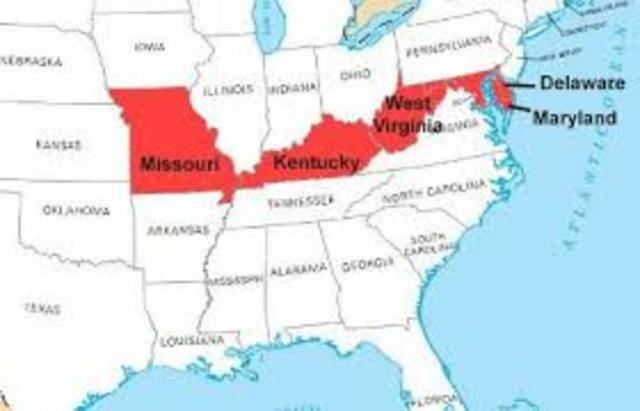 Missouri was split as some people wanted to secede and some remain part of the Union. Lincoln’s 10% Plan was thought of as the blueprint for the reconstruction period.The plan specified that southern states could join back into the United States of America if 10 percent of its voters swore an oath of allegiance to the Union.The voters then should elect delegates to draft. And would be granted a full pardon except for high-ranking Confederate army officers and government officials that took part in the war Lincoln swore to protect southerners private property but not their slaves. 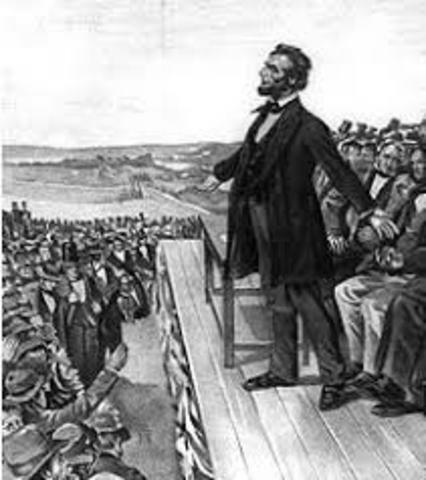 The Gettysburg Address, is thought of as the most popular speech ever. The speech was given on Nov. 19, 1863 as a dedication at a cemetery for Union soldiers were killed at the Battle Of Gettysburg during the American Civil War. It was a short speech as many orators that spoke that day wish they could of gave for example, Edward Everett who spoke for nearly two hours. The speech wasn’t that popular as it is now until the the looking back at the war and people realized it was a monumental act. 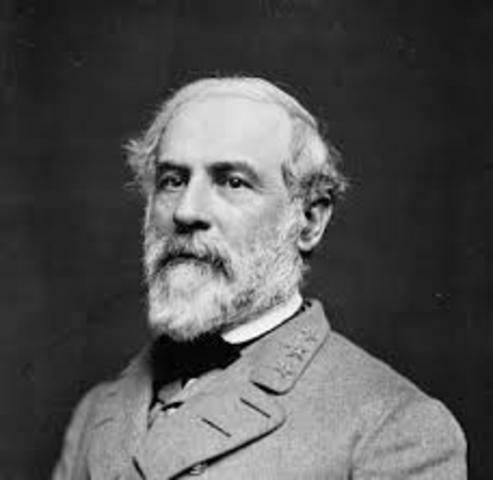 Robert E. Lee born on January 19, 1807, in Virginia. Later were to be our general but he refused Lincolns offer to be Union leader & soon after he agreed to lead the confederate army, in which he did. Being successful in many battles but still failed to bring victory to confederate forces in the Battle of Gettysburg. He was later forced to surrender to Ulysses S. Grant. And he was also later offered the post of President of Washington University where he served for the rest of his life. 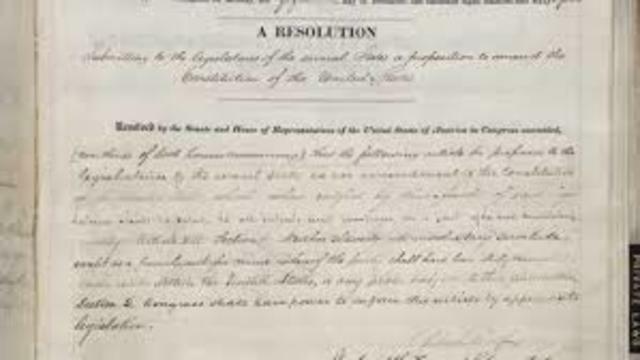 The 13th amendment, was the first of the three Reconstruction Amendments and the beginning to the final constitutional resolution to the matter of slavery. 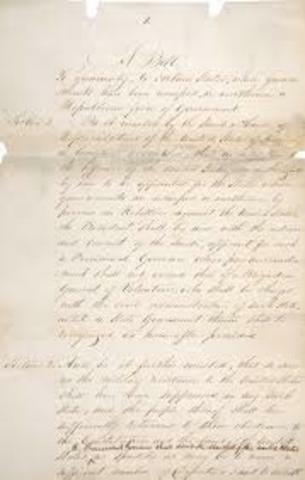 The amendment was pass at the end of the war following the Emancipation Proclamation. Passed by senate in April 1864 and the House almost taking a year later to do so on January 31, 1865. 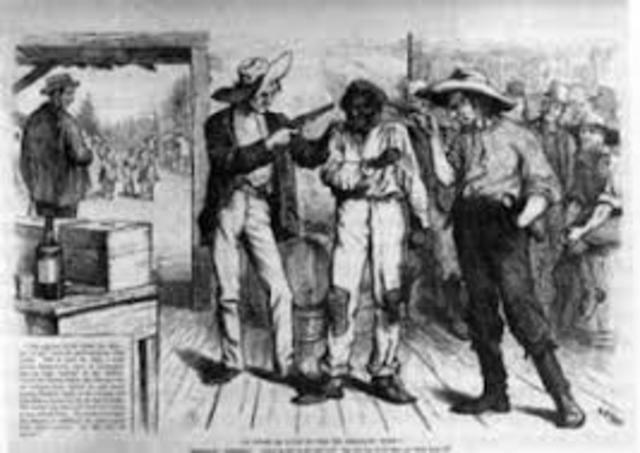 This amendment abolished slavery in America or any involuntary servitude, except as a punishment for a crime if the party have been fully convicted. 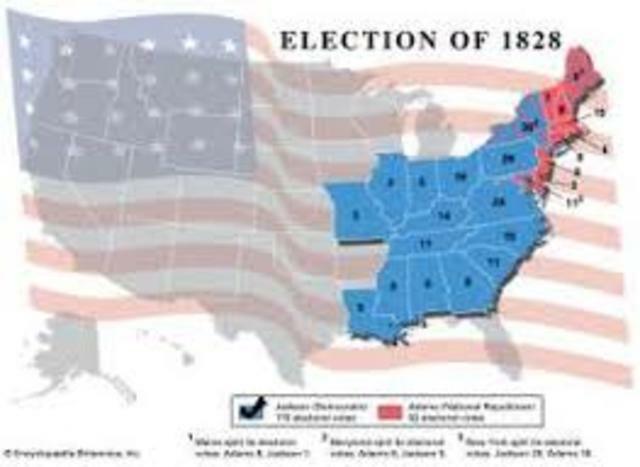 The question arose of about how will the south be readmitted to the Union when the war was over and if the Union would win the war. Lincoln proposed his ten-percent plan but many of the fellow republicans found it to have moderate severity for their actions. So a stricter plan came about from Senator Benjamin F. Wade and colleague Henry-Winter Davis, instead of ten-percent they wanted fifty-percent of the white males in the southern states to swore the oath and give black men the right to vote. The KKK, formal name, the Ku Klux Klan, was formed in the 1865 in Pulaski, Tennessee. The group was a form of white resistance that was formed by a group of Confederate vets. It was a originally a secret society with the members but the secret social fraternity grew nationwide to reverse the government’s Reconstruction activities. They theorized their white superiority & displayed violence in a form to turn things back how they used to be, especially with policies made for African-Americans. 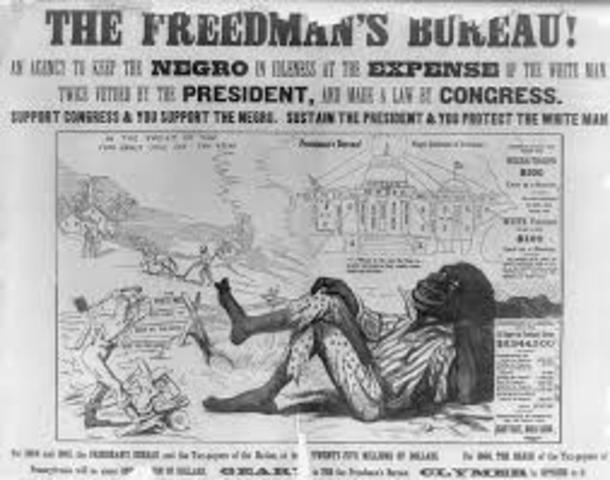 The Freedmen’s Bureau, once called the Bureau of Refugees, was a foundation created by congress to assist and give aid to the millions of people, freed slaves and whites, that were affected by the aftermath of the Civil War. The foundation gave any type of assistance it could like food, shelter, education, medical attention, and land that was abandoned since war. In the end, this was put on halt, as they didn’t have enough funds with so many other factors like race and reconstruction happening. 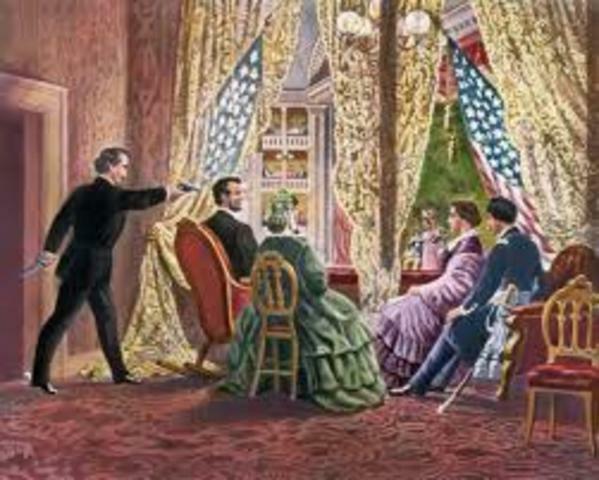 On April 14, 1865 at the Ford’s Theater in Washington D.C., famous actor John Wilkes Booth assassinated President Lincoln. The attack was only a few days later when the confederacy surrendered, bringing a close to the civil war.That night the Lincoln was supposed to watch a fine comedy in a private box. It’s suspected at 10:15 when Booth snuck into the box and fired a shot into the back of Lincoln. Lincoln was carried to a boarding house across the street, where he later died the early morning. 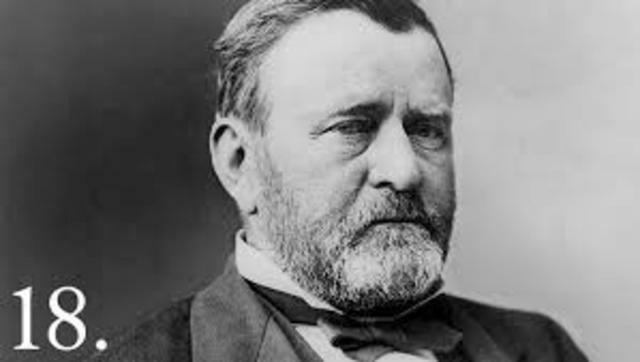 Ulysses S. Grant was the commanding general for the union armies, as he led the Union to victory over the confederacy in 1865.He later became the 18th President of the US for his victories, winning over the south. 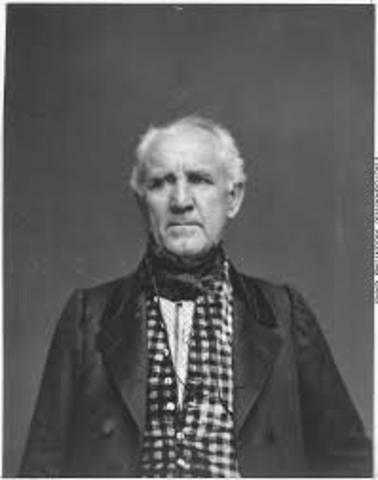 He started his war experience under Zachary Taylor in the Mexican-American War. When the civil war break, he was to command over a volunteer regiment. After he gained more victories in Mississippi Valley, Lincoln promoted him major general of volunteers and eventually General-in-Chief. 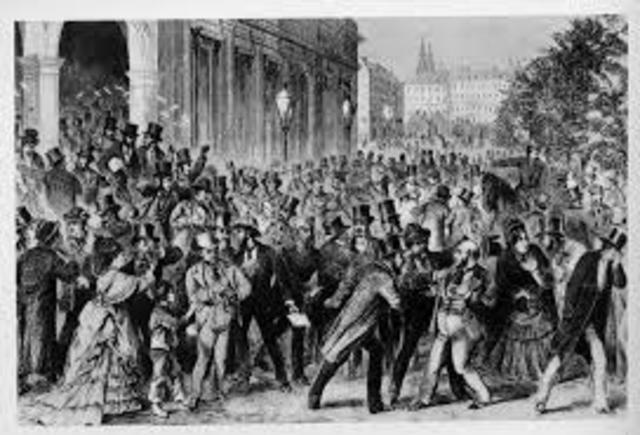 The Panic of 1873 was a global financial crisis that had began in Europe and lingered its way to America. The significant to this depression in America was when Jay Cooke'sand company closed their doors. The banks fall started a slippery slope of events that surrounded the United States of America. The stock market was closed for days as thousands lost their job, credit crumbled, foreclosures were common and banks failed. After the panic, southern whites had already gained back their control. 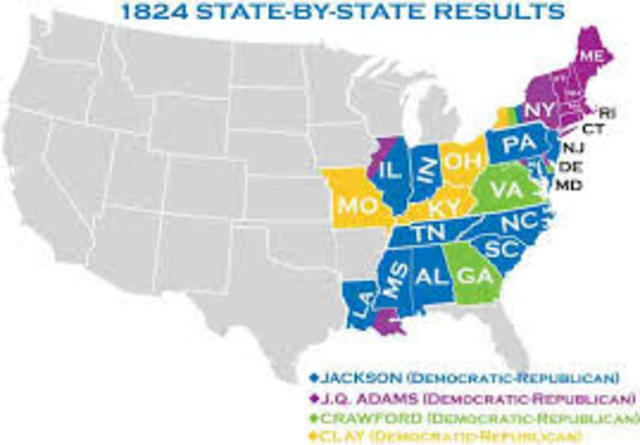 Mississippi Plan was created in 1875 by conservative white Democrats as part of the white active revolt in the south during the Reconstruction time period.It was given careful thought and developed by the Democratic Party in that state to overthrow the Republican Party power that was in Mississippi really by means possible like threats of violence or purchase of the black vote. Democrats wanted all the power in the states and political control of the legislature and governor, & were successful. 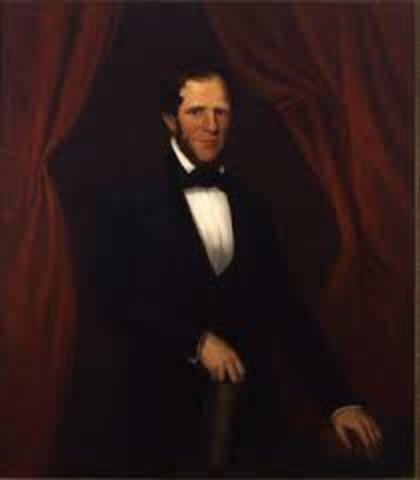 "Maifest Destiny" was a slogan invented by a journalist named John L. O’Sullivan while the annexation of Texas and the boundary dispute with Britain over the Oregon territory in 1845. This was thought as the official policy of territorial expansion. 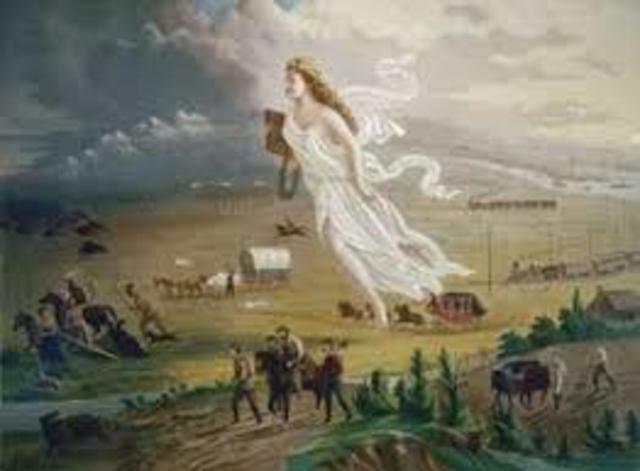 But in the early 1890’s the term was reborn and restated that the United States was destined by God, as its loyal advocates believe it was to expand its territory and spread democracy and capitalism throughout the entire North American continent. 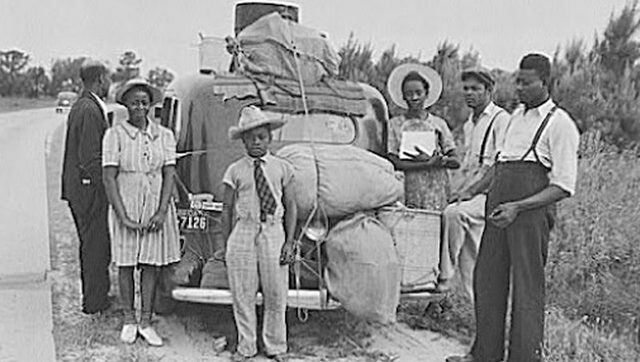 The Great Migration was the movement that resulted over more than five million African-Americans from the harsh, rural South to urban cities in the North, Midwest and West. They had no choice but to leave their homes by unsatisfactory and unfair economic opportunities and harsh segregationist laws. Many black-folks seek a home in the north where they wasn’t as discriminated as much and better living conditions. This movement ultimately exerted immense influence that even affect us today.